It has been a week since the end of E3 and I wanted to recap my thoughts on the event. You would have already heard them but, due to the technical difficulties we had in recording our podcast this past week, those brilliant ideas were lost. So now I’m going to share them with you in the time-honored tradition of the written word. I’ll only concentrate on the big 3 press events: Microsoft, Sony, and Nintendo. Looking good in tight places. Last year, Microsoft’s press event made me go out and buy the redesigned Xbox 360. I think that should give you an idea about how I felt after watching what the Redmond-based company brought to the table. However, this year was a different story. 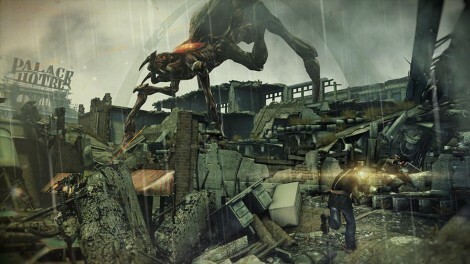 Granted, Microsoft showed off some great exclusive titles like Gears of War 3 and Halo 4. 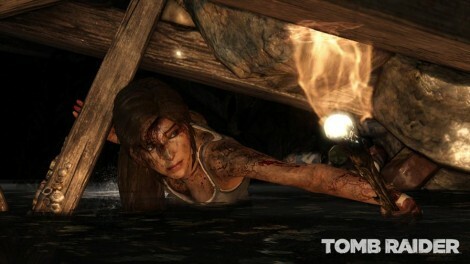 Along with those standouts, the new Tomb Raider and Call of Duty: Modern Warfare 3 were shown. That’s 4 huge game franchises that no other conference had. Right there, Microsoft is telling the world that the Xbox 360 is where core gamers come to play triple-A titles. Apparently, the Xbox 360 is also where the casual gamers play motion controlled games as well. As an owner of the Kinect, I want to see games that use the device featured. I want to know what games developers have in the pipeline for this unique device. But none of the games, save for Dance Central 2 will ever go on my “To Buy” list. Microsoft is trying to capture the same market that the Nintendo Wii did so well at capturing in the past couple of years. Though Tim Schafer was hilarious and I love Double Fine, mini-game collections stamped with high-profile brands like Disney and Sesame Street don’t grab the attention of the core gamer. Even a game that gamers might be interested in, like Star Wars Kinect, demoed so horribly that it was laughable. Granted, I don’t have children. And if I did and they played games, the Kinect games would definitely gain traction in my household. But how many people watching, or even paying attention to the Microsoft E3 press conference are in a parenting type situation? Perhaps I’m just ignorant of that audience. In summary, Microsoft showed off some interesting games but the overall conference was pretty lackluster when compared to last year’s. Drake is always leaving a trail of desctruction. Sony, Sony, Sony. I’ve been really hard on the company these past couple of months, but I was really looking forward to what SCEA had to show off during E3. 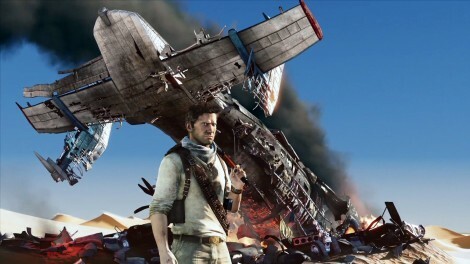 By displaying Uncharted 3 at the start of the event, there was never a chance that any other game could follow it. Uncharted 3 is what many of us expected: another great looking Uncharted game that we are all going to buy, no matter how much of it is shown anywhere. Following that up with a pretty piss poor demo for another of Sony’s big franchises, Resistance 3, made that game look awful in comparison. In fact, most everything else looked awful in comparison to Uncharted 3. Especially the Move demoes. Kobe Bryant was awkward and so was the “playful banter” between him and one of the developers. Jeremy made some good shots in Medieval Moves, but he probably felt that the speaker was just being condescending. Nothing on the Move has ever gotten me interested in having a third motion control experience in my home, and this press conference didn’t change that. The gameplay demo at E3 looked awful. The PS Vita is a cool piece of technology, but where does it fit in the current landscape of handhelds? This was the part of the conference where I fell asleep. Granted, I wasn’t feeling very well and was tired…but I still fell asleep. This does not interest me at all. Playing games like Uncharted on a handheld device is not something I want to do. If I’m going to play that type of game, I want to have the full big-screen experience. They’re making games for the core gamers, but often times core gamers aren’t interested in playing handhelds. Unless Sony is counting on leveraging the fact that most of the PSP’s purchased were played by elementary school-aged children? Then Sony might be trying to get kids hooked on the small version in order to upgrade to the full experience later on. This could be an interesting way to grow a fan base, albeit a very, very risky one. It will be interesting to see how successful the Vita is, or if it fails, how quickly Sony escapes the handheld market. The major disappointment I had in watching the Sony press conference was the lack of The Last Guardian and Twisted Metal. After bringing Sweet Tooth’s ice cream truck on stage last year with creator David Jaffe, one would think that Sony would want to feature a game that was being released later this year. Unless Sony has no hopes for Twisted Metal to be a success, or Jaffe pissed them off royally, there is no real explanation for its absence. After announcing the Team Ico HD remaster collection of Ico and Shadow of the Colossus, showing a trailer for the upcoming The Last Guardian would have been ideal. But alas, no trailer and no mention at all. Does this game still exist? Or will we have to wait until the Tokyo Game Show (TGS), to hear any news, like we did last year? Overall Sony had a hit, some miscues and a couple of misses. Was it a horrible press conference? No, it wasn’t. Other than some glaring omissions, I enjoyed it. I like Jack Tretton and think he does a great job on stage. Nonetheless, my interest in the PS3 as a platform is dwindling very rapidly. I don’t need every game to be Uncharted 3, but a few more exclusive titles similar to that greatness wouldn’t hurt. Before E3, what Nintendo had to show the gaming world excited me more than anything from its competitors. 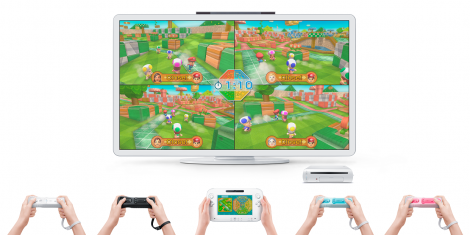 Nintendo previously announced that it would be showing off the follow-up to the very successful Wii. Very few details were leaked other than the controller would be dual-analog with a screen in the middle. Needless to say, the gaming world was intrigued, but we had to wait to get our first glimpse at what new innovation Nintendo had. Starting off the show with a Zelda retrospective and orchestral accompaniment was a great idea. It is the 25th anniversary of the first Legend of Zelda game and showcasing all the games in the series brought back a lot of gaming memories for me. Even though they are releasing a ton of Zelda games this year, including the Wii’s Skyward Sword, I was disappointed. I was hoping for a Zelda collection of some sort with an art book, soundtrack and all of the games in one package. For a franchise that is so renowned, one would think that Nintendo would do a better job at milking gamers’ love for the series. Yet another misstep for Nintendo in glorifying the franchises that made it a household name. Finally, some games were announced that piqued my interest in owning a 3DS. Mario Kart, Super Mario 3D, Star Fox and Luigi’s Mansion 2 were the ones Nintendo focused on. It’s been a few years since I played any type of Mario Kart and my love for the series goes all the way back to the original Super Nintendo game. Super Mario 3D was interesting at first glance, but as I saw more and more footage from the game, I’ve determined that it looks boring. It might not be once I get hands-on, but the level I saw had none of the visual flair I’ve come to expect from Mario games. I could care less about Star Fox and Luigi’s Mansion 2, but my wife loved the first Luigi’s Mansion. If I can parlay that into an excuse to buy a 3DS, I’m not afraid to stoop to that level, but as of right now, Mario Kart isn’t enough for me to make an attempt. Game looks cool, but I need more. I never thought a name like the Wii could be usurped from the throne of worst console names ever, but I still should have expected Nintendo to name the Wii’s follow-up something just as awful. The Wii U is the name that will propel you “wider and deeper” into the world of Nintendo console gaming. As Nintendo started to show the controller, a wave of confusion swept over me. Because there was no game footage relaying the power of the Wii U to the audience, I began to think that the controller was the Wii U and it was an add on to the original Wii. The way Reggie and the video package explained the Wii U didn’t make it exactly clear what the console was. We saw a glimpse of the new box in the background, but it looked so similar to the Wii that I didn’t know what was going on. It wasn’t until Reggie introduced the bird flying demo that I realized that there was an actual new console coming. It was a confusing way to introduce a new product. As cool as some of the tech demos like Chase Mii look, I’ve been vacillating back and forth over whether or not I’m going to be an early adopter this time around. The tech is coo,l but do I really want another system from Nintendo that gathers dust? Do I want a third system in my house that can basically play the same games as the other two? I know it’s early still and none of us have seen the true power of the console and its controller, but as of right now, I’m at an impasse leaning towards not buying it. While I come away disappointed about the major E3 press conferences, I still love watching them and trying to predict what will be announced. Anytime the world is focused on the gaming industry makes me happy and I look forward to covering E3 next year. Maybe there will be new consoles announced from Microsoft and Sony. Let’s start the rumors now.